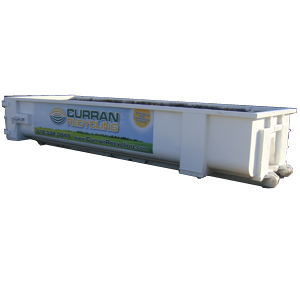 Since 1997, Curran Recycling has helped divert hundreds of thousands of tonnes of waste material from landfills by providing a cost effective and environmentally friendly alternative for local industries. Our local recycling and waste treatment facility makes it easy for you to dispose of waste material in an environmentally responsible way. Just pack up your load, drop it off and you're on your way. When you dispose of waste material at our local recycling centre, we'll provide your business with a certificate that testifies to the efforts your making to keep our community and environment clean. From heavy industry to single loads, we have the resources to handle all your recycling and waste treatment requirements. Stop in during business hours or give us a call to schedule a tour of the facility. Sarnia's leader in provding safe and responsible recycling solutions. Our facility is licensed by the Ontario Ministry of Environment to treat and dispose of contaminated soil in compliance with all bylaws. 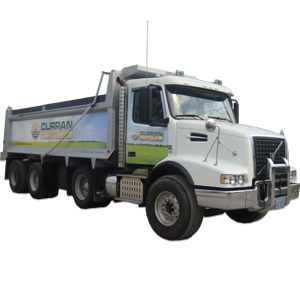 Curran Recycling has the equipment and experience to safely dispose of non-hazardous liquid waste generated from industrial projects. We're also a licensed disposal outlet for your drilling mud and sludges and we can even send a mobile sludge box or Vac Truck to your job site. 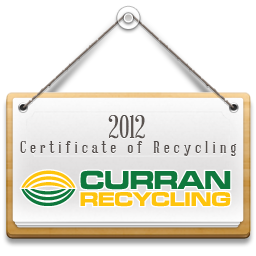 Curran Recycling offer disposal bins for commercial and industrial use. The bins can be dropped off and picked up at your convenience. View our online map to find out what materials are accepted at the yard and learn what you can expect when you visit Curran Recycling. Our facility is open to the public and equipped to meet the recycling needs of the entire community, whether you're a business or an individual. Not sure if Curran Recycling is right for you? Schedule a tour with our main office and see for yourself what we're all about. 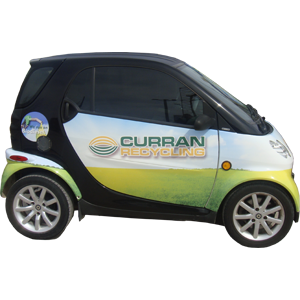 Why do thousands of businesses and consumers trust Curran Recycling with their waste? Our comprehensive range of services, strict regulatory compliance, and user-friendly facility are just a few of the reasons why our customers choose us over other providers. Curran Recycling has diverted over 12,000 tonnes of asphalt shingles from landfill. The critical business of waste management. Need a quote, or more information about our services? We’re here to help. Contact Curran Recycling today and we’ll get back to you within 24 hours. © 2019 Curran Recycling. All Rights Reserved.